A bit of an “away day” for this gig in Bury St Edmunds, to see Miles and Erica of The Wonder Stuff performing acoustically as a duo, and local band The Sea Creatures. It was a slightly odd and unexpected venue for this sort of musical night, with very much a cocktail bar feel. It is angular, and somewhat lacking in warmth of atmosphere. When I did eventually find some ales at the bar I found a couple of really good ones, but at between £4.50 and £4.95 a pint?! High end London prices does not make a venue trendy or exclusive. The music room itself was up some steps in what appeared to be a small-ish loft conversion, which felt quite odd and made me realise how accustomed I was to Norwich’s subterranean venues! I’d heard very good things about The Sea Creatures, from my friend Matt, who was sure I would like them. He was right of course, they play infectious and at times upbeat folk with guitars, bass, fiddle and vocals. The bass and fiddle sounding especially good. They played this evening as a four piece but usually have a drummer. I did rather like them. 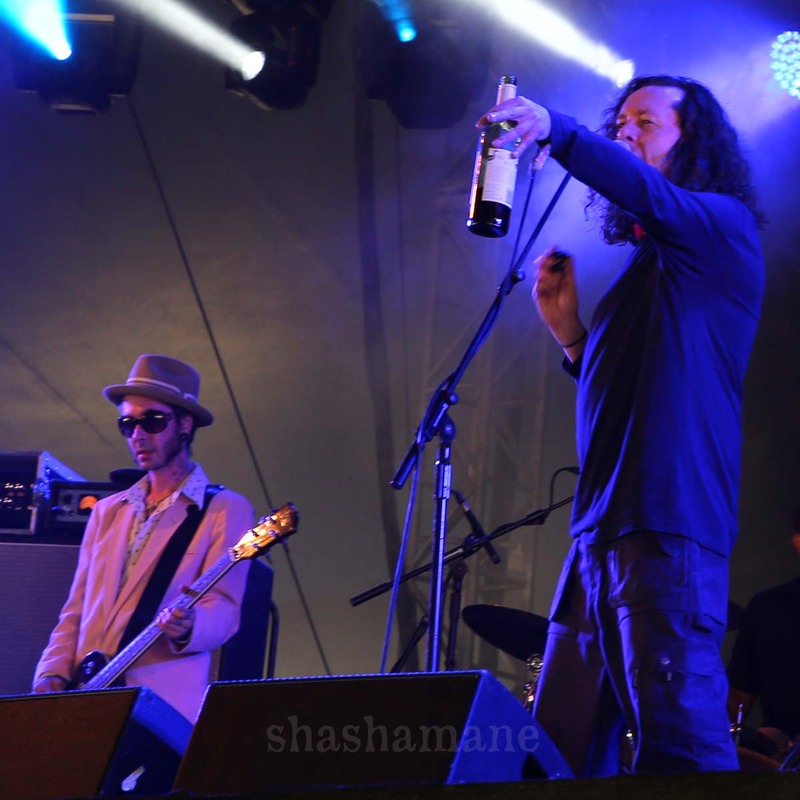 The last time I saw the Wonder Stuff was during a storming and triumphant Bestival appearance last summer, with the first in about 1988 on the Groovers on Manoeuvres tour. I note that the intervening years seem to have been kinder to Miles’ appearance than my own! Before Miles and Erica took to the stage I was talking to Matt about Slade, of all people, in regard to early musical memories, and then made a connection with the Wonder Stuff and Matt said I really should try and talk to Miles about Slade sometime. A couple of moments later Miles stepped up to the mic to start the set and said to imagine we were in some small club in 1975 watching Slade and to all stomp our feet loudly. Uncanny! This was the intro to Clear Through the Years, the opener on the new album. As well as hearing what fine songs these all are in this stripped back but no less powerful format, it was fascinating to listen to Miles the storyteller, at times very touching about a drinking buddy in the pubs of Shropshire, or some hilarious stories of tours with Wayne Hussey of the Mission, or Joe Strummer the festival lover. Being very close to the front and the speakers, and a little bit deaf from gigs, I was not quite so troubled by some loud chatter from the bar, but this did become progressively worse until Miles had to order them out in no uncertain terms. We were treated to some more Miles and Erica songs before they decided to “open up the Wonder Stuff songbook and see where it takes us” which was marvellous and had people singing along. 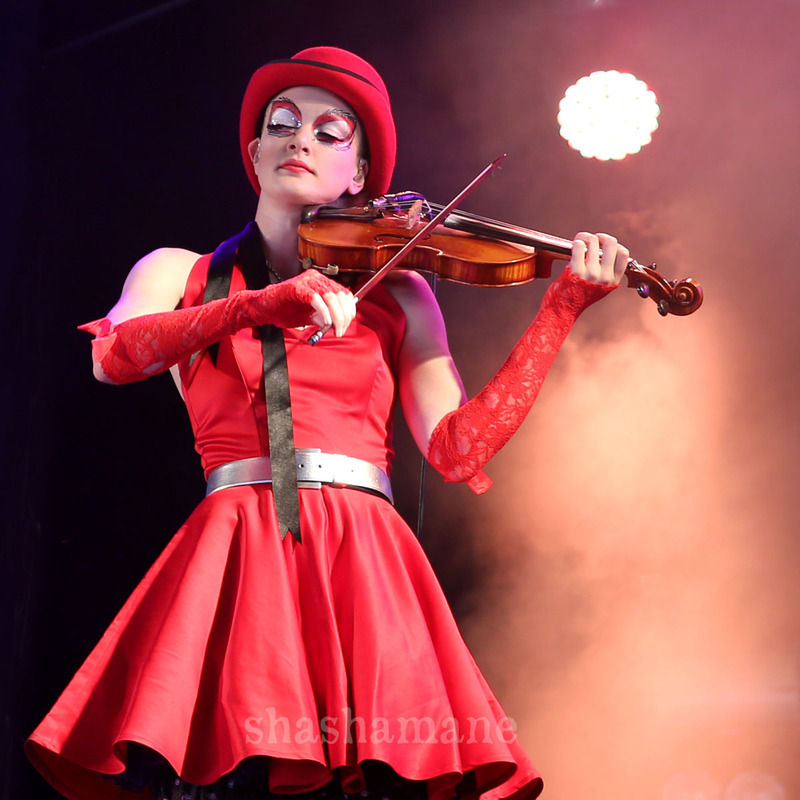 Erica is a stunning violinist, she makes it look effortless and looks and sounds stunning too in sideways trilby and open boots. She looks like someone born to play violin and the two of them together on stage have an obvious chemistry, Miles’ voice sounding as good and strong as ever. Unfortunately however the noisy people returned and were getting louder and louder, much to the obvious annoyance of Miles who several more times had a go at them to either shut up or go to the other bar so that those present could enjoy the music they’d paid to hear. This was greeted with wild cheers and applause. He channelled all his anger and energy into some fierce playing and Erica was a dervish on fiddle, but Miles was obviously becoming exasperated and eventually said some of the saddest words I’ve heard from a musician – “We’ve done all we came to do. I picked up my brother’s guitar as a little boy and was determined to learn it. Erica started playing violin when she was seven, but on nights like tonight I wonder why I don’t just go and get a job” It was a full and spirited set but I can’t help feeling we’d have had a longer set had it not been for selfish, boorish, disrespectful people yabbering away all night at the bar. Just what is it that makes people buy a ticket for a gig and then just talk very loudly all the way through?? Miles looked livid when he walked off, with a face like thunder and that chat about Slade will have to wait ’til another time. Having said all this, I don’t want to give the impression I did not enjoy it, I did, immensely, but we were perhaps just deprived of an absolute classic. I really enjoy the musicianship, songs, and the stories, Miles has a gift for it. The other person I felt most for was the promoter John as none of the friction was any fault of his, I don’t know what this place is normally like but I suspect it’s just not the right sort of venue for this sort of gig. Many thanks to Matt Watson and John Foreman. This entry was posted in live music and dance and tagged Bury St Edmunds, Erica Nockalls, Miles Hunt, the wonder stuff, The Wonderstuff. Bookmark the permalink. Great review and photography. I was at the gig too, and completely agree with you, it was a real shame that a few ignorant few spoiled it for the rest of us. Still loved the concert though.